The college has been giving Lecture Demonstrations for past 50 years in elementary, middle and high schools, community colleges and universities. The length of these demonstrations is typically 1 hour. You can request the type of melodic instrument you would like from the following choices: Sarode, Sitar, and Violin. These instruments will be accompanied by a Tabla (Indian drum) player. The artists generally give a 20 minute recital then talk about their instruments, the basic structure of a performance, and answer any questions the students and teachers might have. They can play longer, talk less, focus on areas of interest, and basically structure the demonstration in any way the school requests. Our Residency Programs have been taking place since 2013. The structure varies from 5 week – 12 week programs. 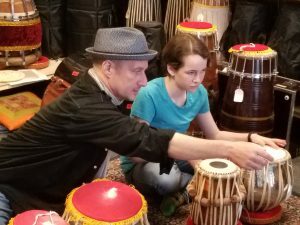 These direct learning programs provide 1 hour weekly lessons focusing on the basic skills and techniques of North Indian music, including composition and improvisation. The lessons are designed for three grade levels: 5th-6th, 7th-8th, and 9th-12th, but can just as easily be geared for serious college level music programs. 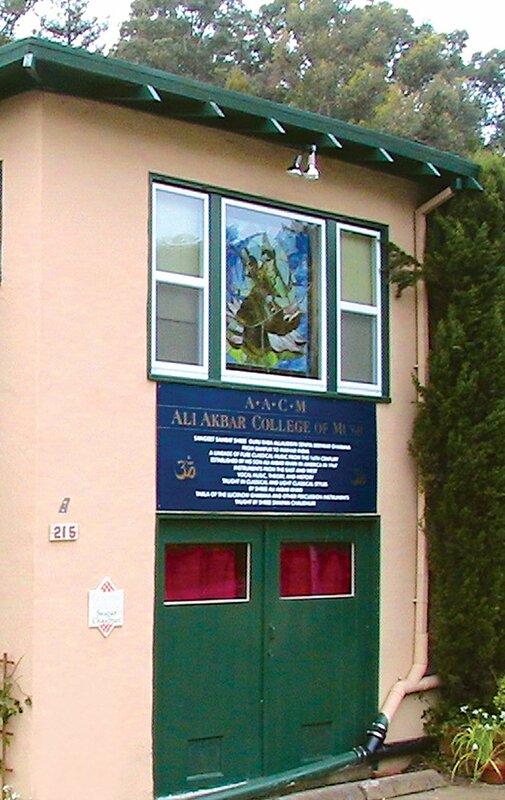 Uniquely, these classes are designed to be taught to students on the Western instruments already being played within their current music programs and will culminate with a performance by the students and the world-class, professional performing artists from the Ali Akbar College of Music. Along with teaching, AACM is a performing arts organization. Concerts are what we are well known for. If you are interested in hosting one of our artists at your school please contact the office.